Two years ago today I was a senior in high school, living in the Park Slope neighborhood of Brooklyn. I spent most of my time at my desk, doing homework, or in the cafe near my house where I made sandwiches for six months. I was never interested in politics. By this time last year Barack Obama had changed that. He had changed that in an instant. 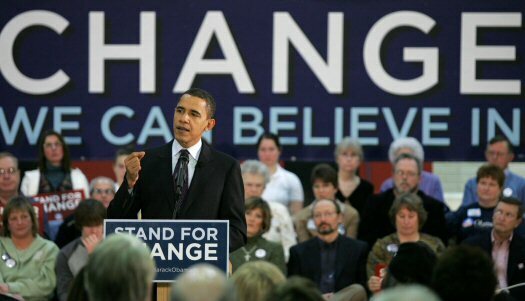 When I first was acquainted with Obama in the New Hampshire debate, he blew me away. I had the same dreams he did, and I knew that they would be difficult—I wanted to end the rule of the status quo in Washington; I wanted to bring Change to Washington; I wanted for people to be inspired, to hope, to believe again in our democracy. In my fourteen months campaigning for Obama, I found these dreams. That there were millions like me all across the country only made me feel more important. I have seen poverty. Every day that I take the R or the N train to Manhattan I see people jumping the fares, people who cannot afford a $2 ride to the city. Just last year my neighbor, Philip, had to sell his place and move into a two-family house. We’ve had a rough economic situation over the past two years, and we’d be lying if we said it was all Bush’s fault. But the truth is, Obama came when we needed him most and gave us all bigger, better dreams. He inspired me. He inspired all of us. I think the real reason people were so surprised by Obama is that we’re used to seeing politicians of the same fabric. Obama came to America, not as a politician, but as an honest man seeking change. We were disillusioned with politics as usual, and he inspired us with a new breed of politician. What were dreams about a black individual in the White House are dreams no longer. Now we dream about reform, about change, about clean coal and sustainability. Barack Obama will keep us on this track of progress, and I’m glad that I was a part of what made progress a reality. Inspiration runs deep within my veins. ~ by killerbuffalo on April 21, 2010.